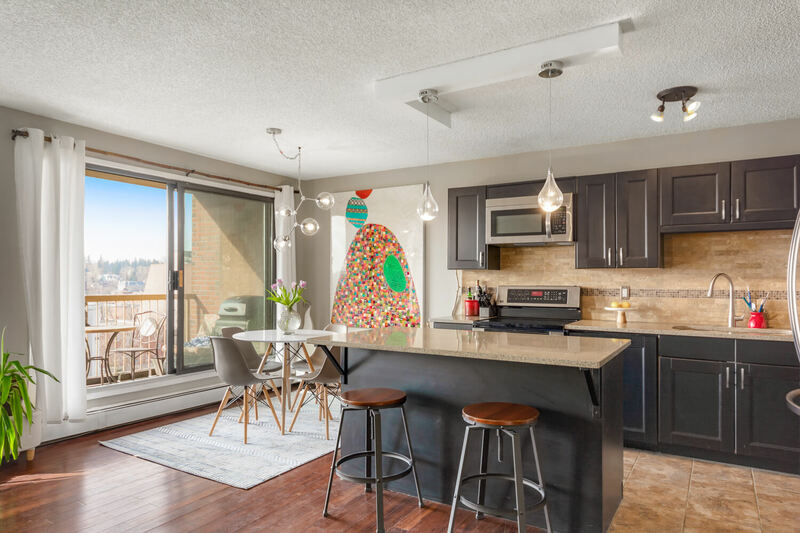 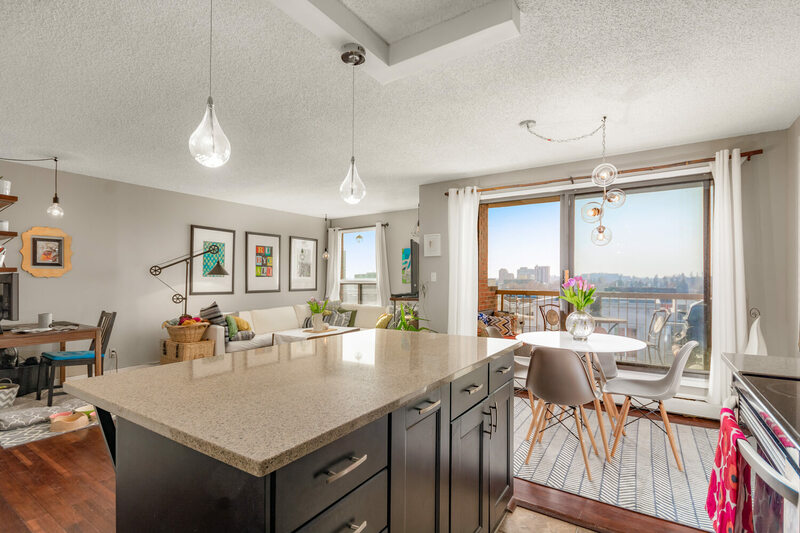 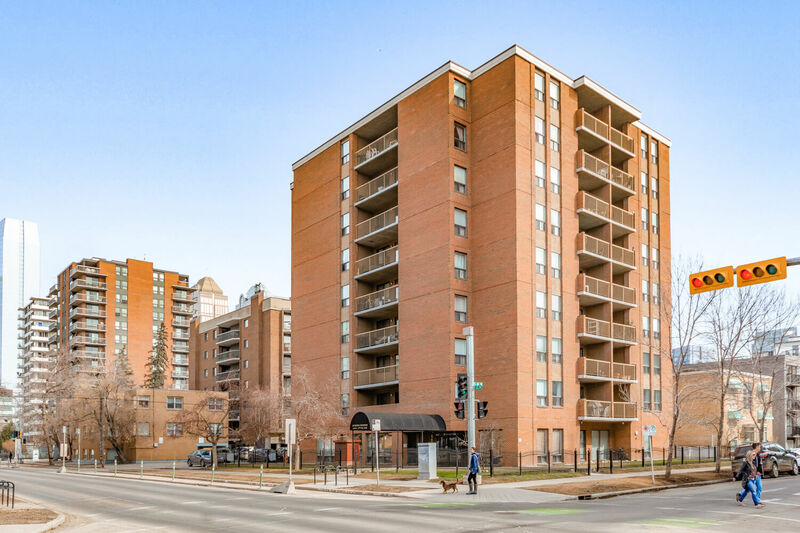 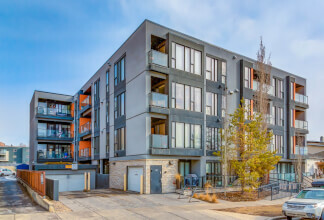 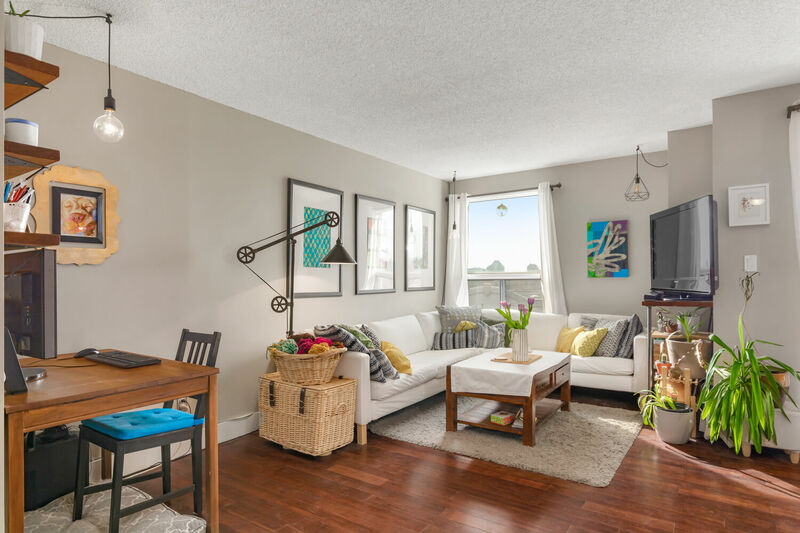 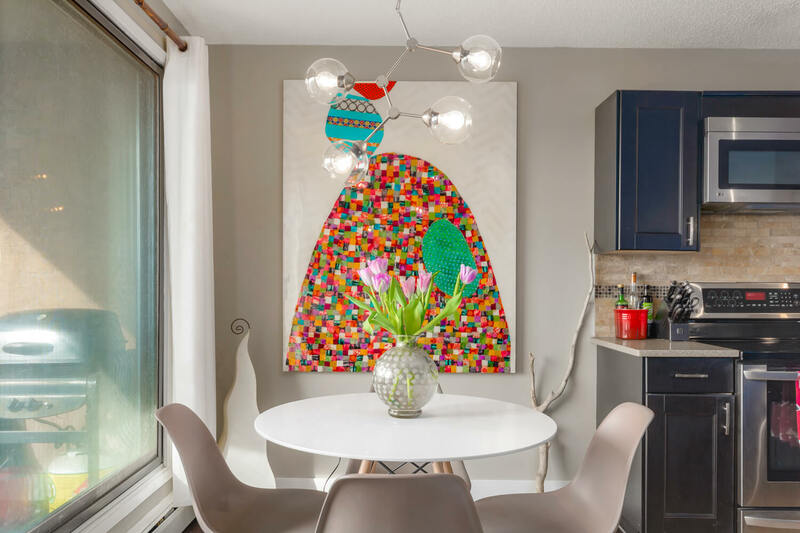 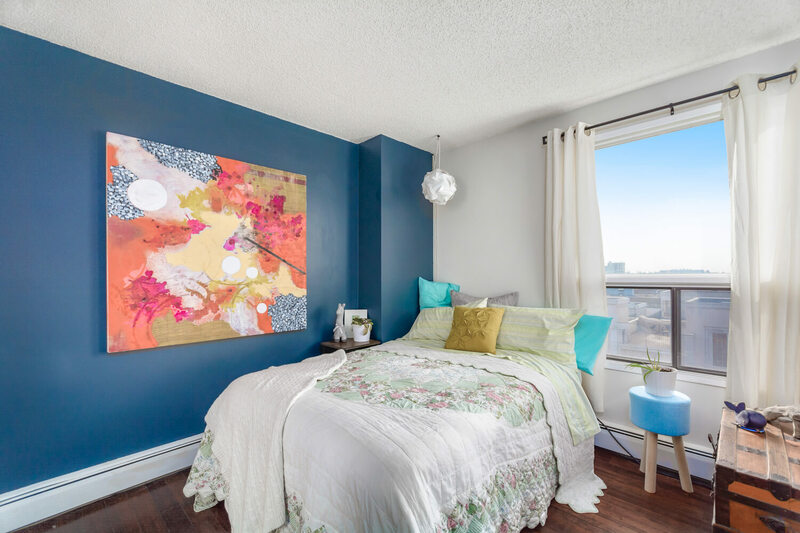 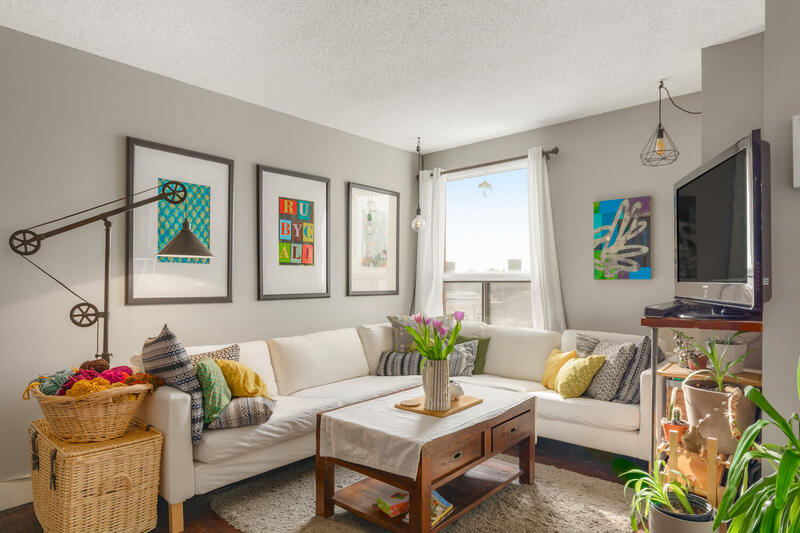 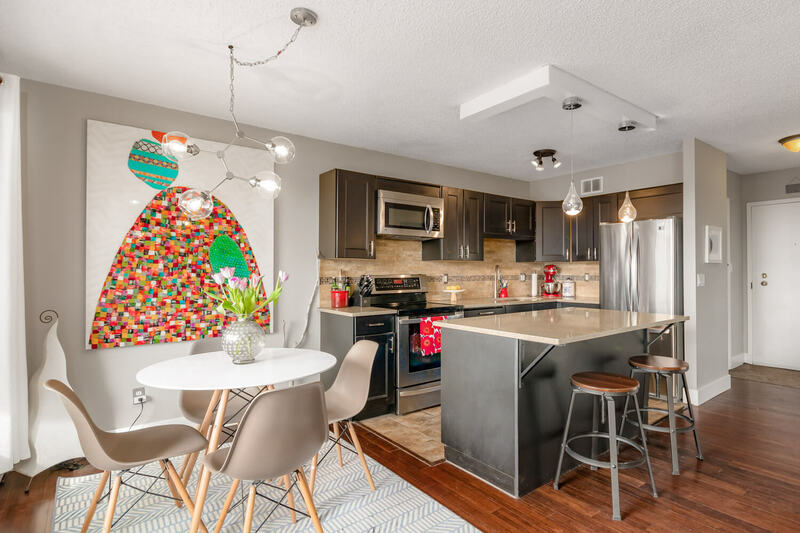 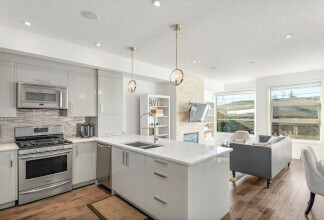 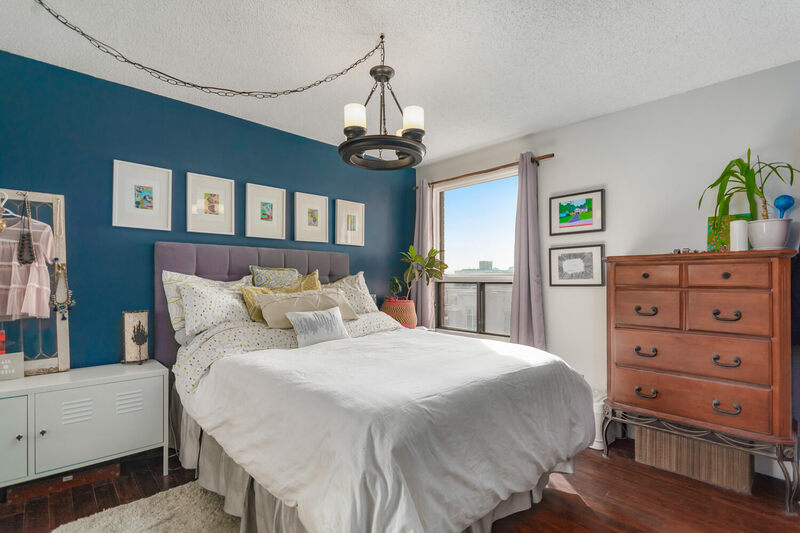 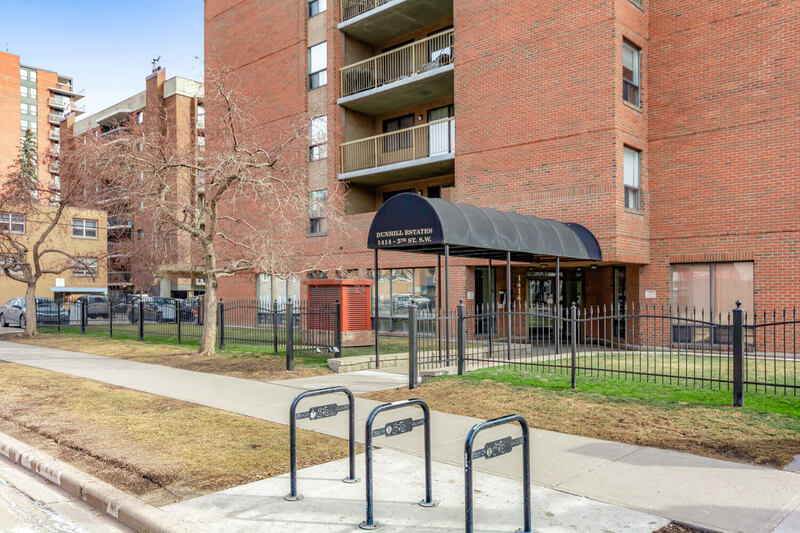 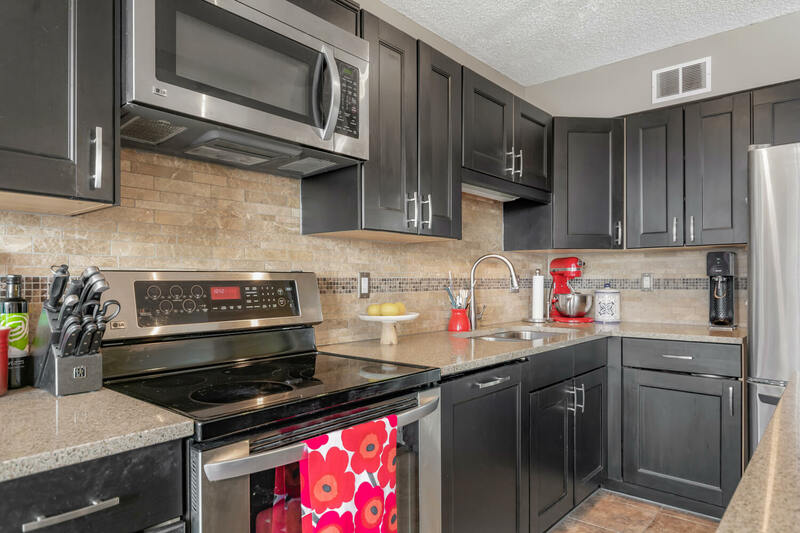 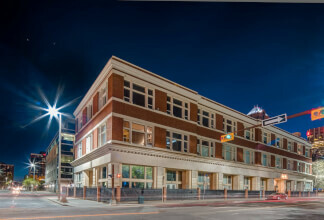 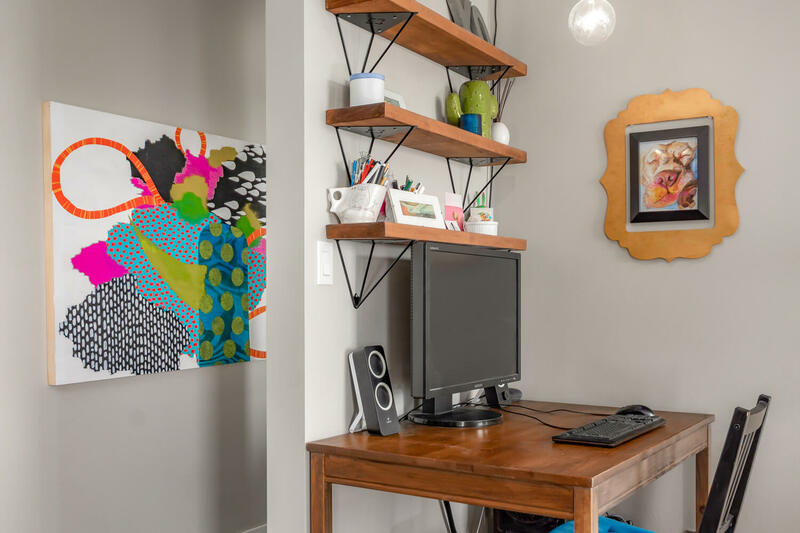 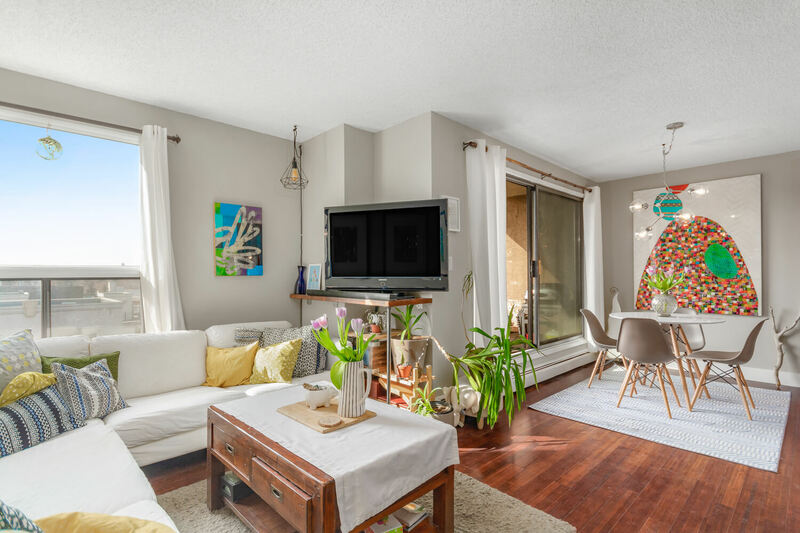 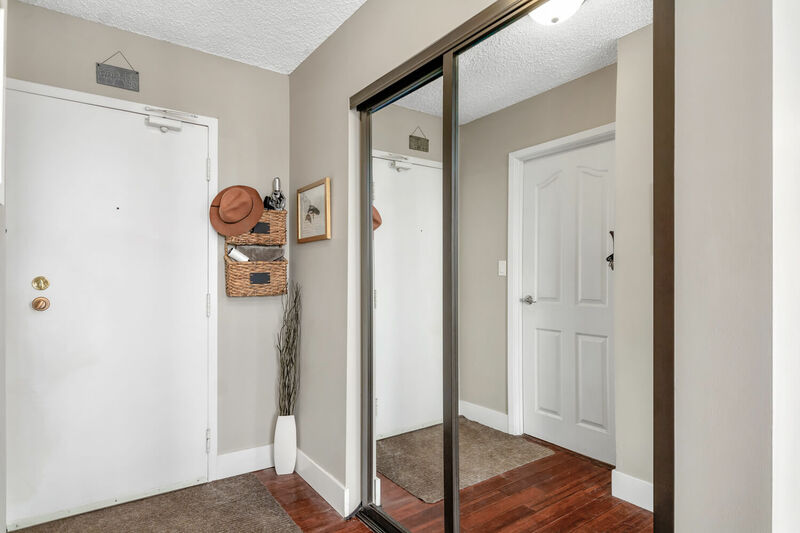 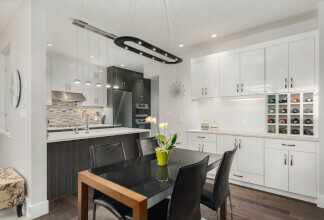 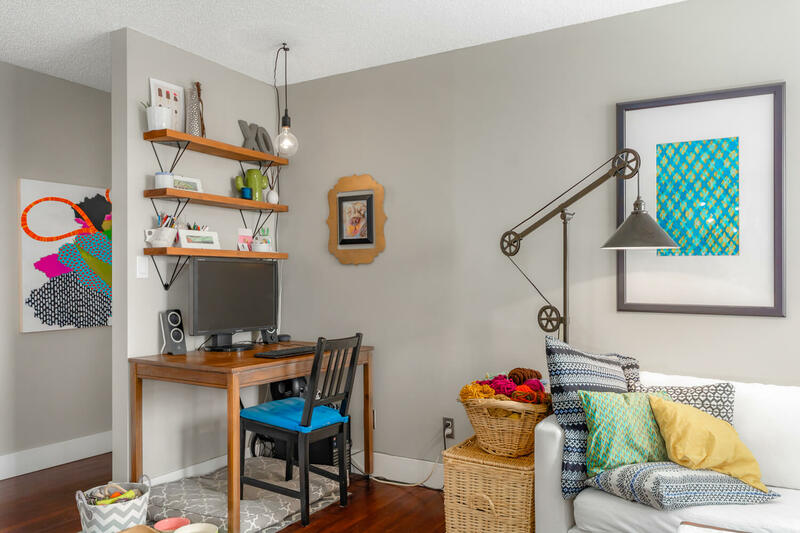 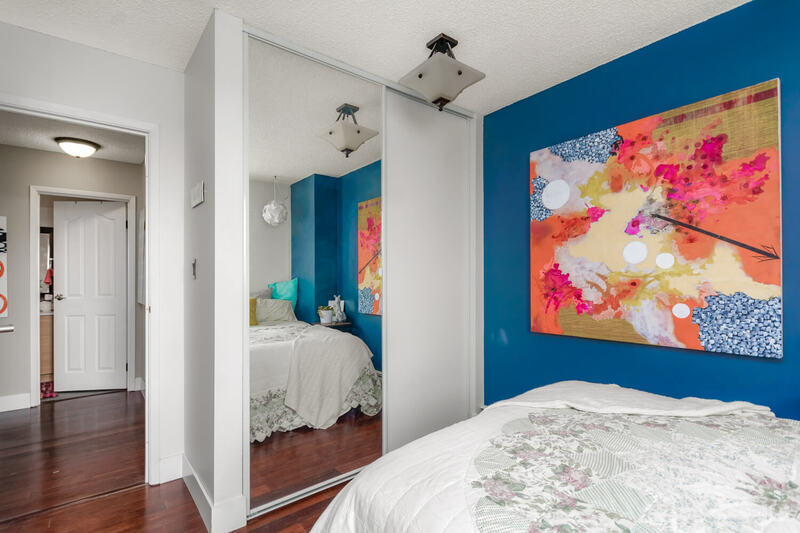 Just Steps To Trendy Shops & Restaurants On 17th Avenue // Beltline Calgary Condo // Christina Hagerty + Co. 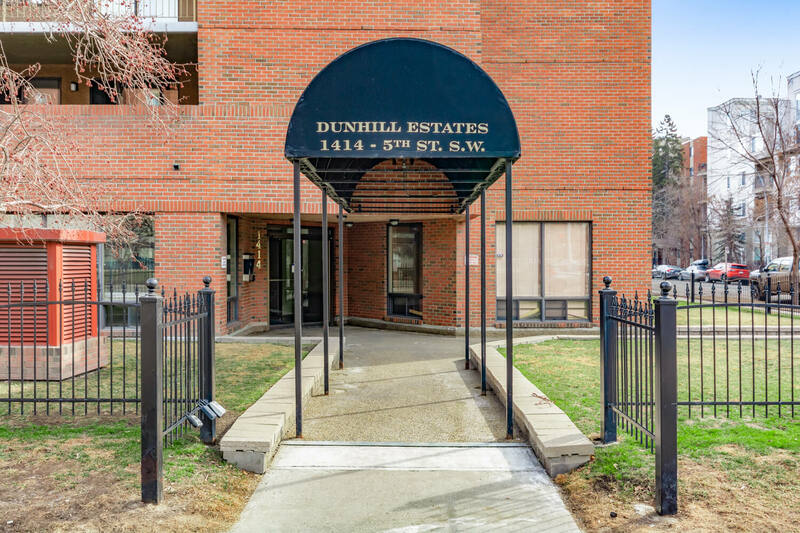 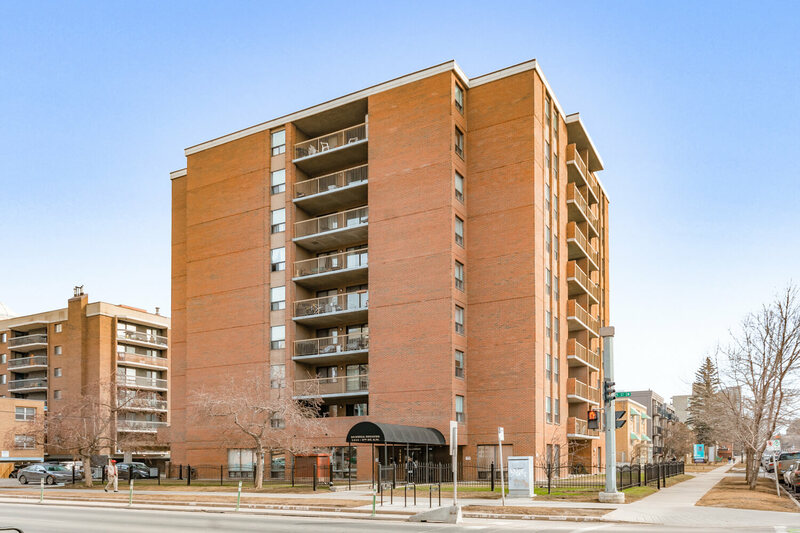 Calling all Inner City Kitty's…as this condo will not disappoint!. 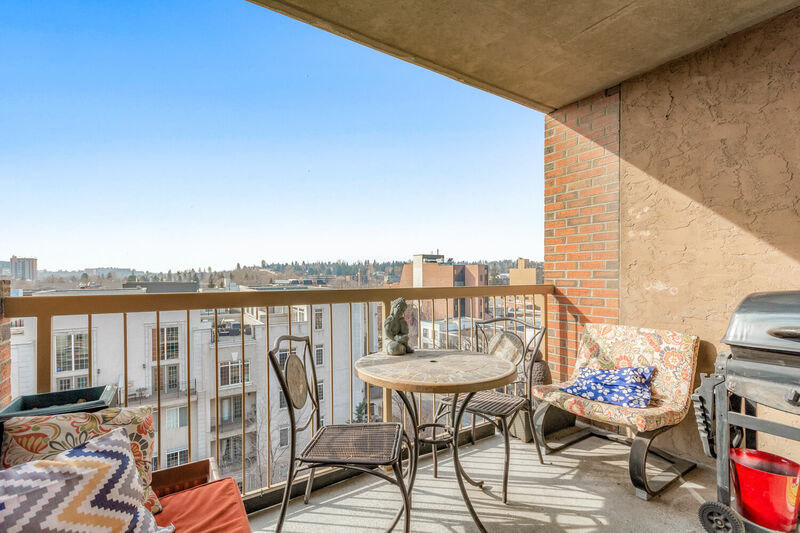 Just steps to trendy shops & restaurants on 17th Avenue. 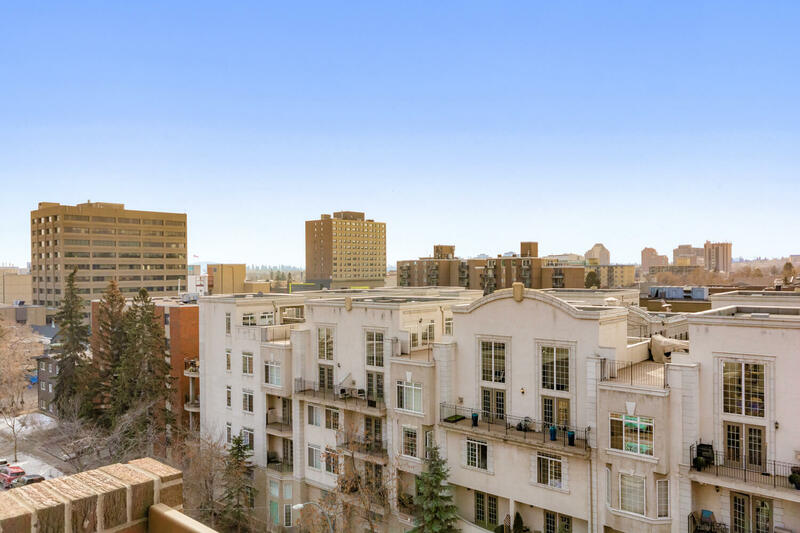 Walk or bike to downtown, the Bow River & the many river pathways. 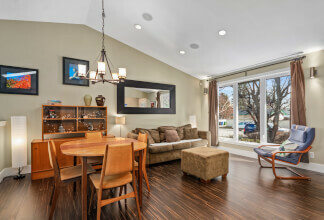 Modern & sophisticated with hardwood floors, designer lighting & an abundance of natural light. 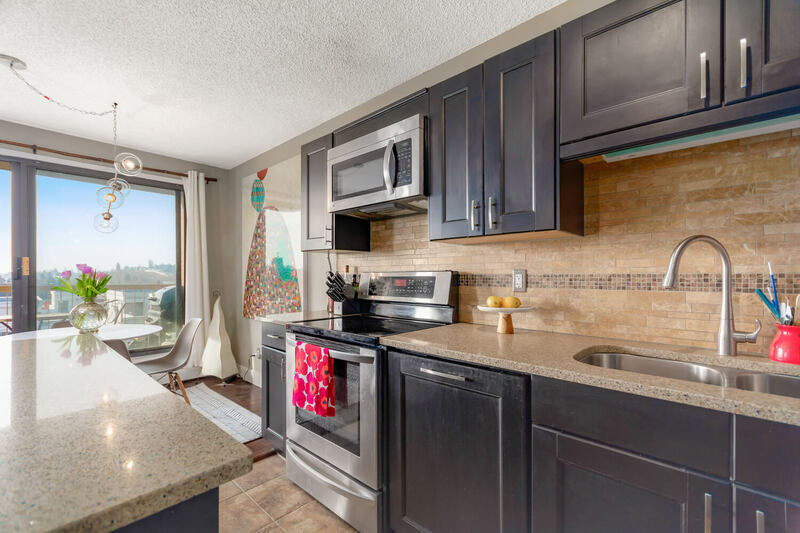 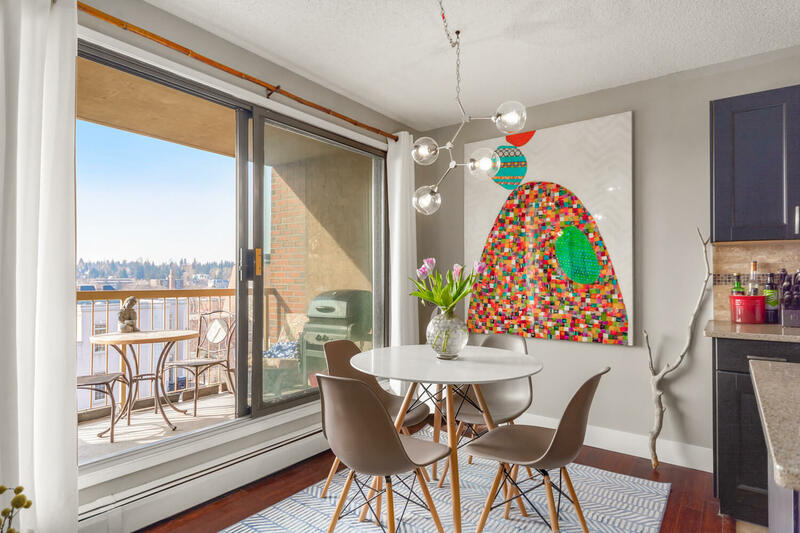 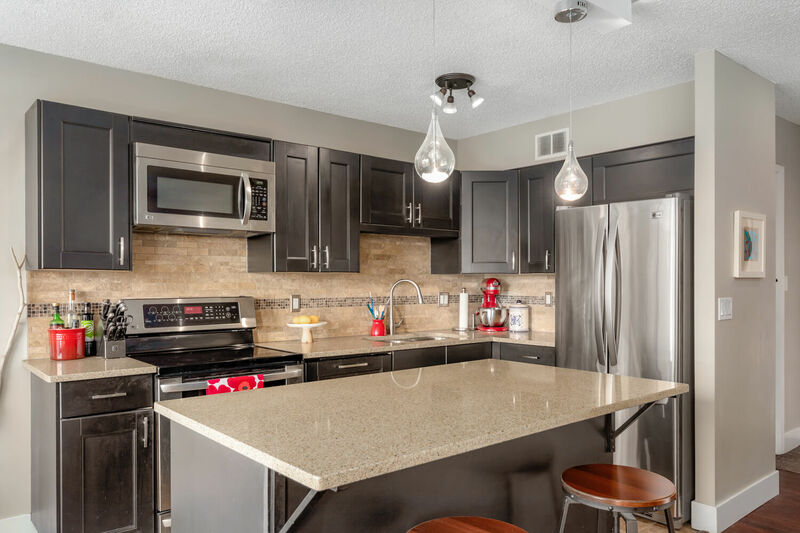 The massive gourmet kitchen, rarely seen in a condo is a chef’s dream w/huge breakfast bar island, s/s appliances, a plethora of rich cabinets & counter space and is open to the living and dining rooms giving you an unobstructed great room, perfect for entertaining. 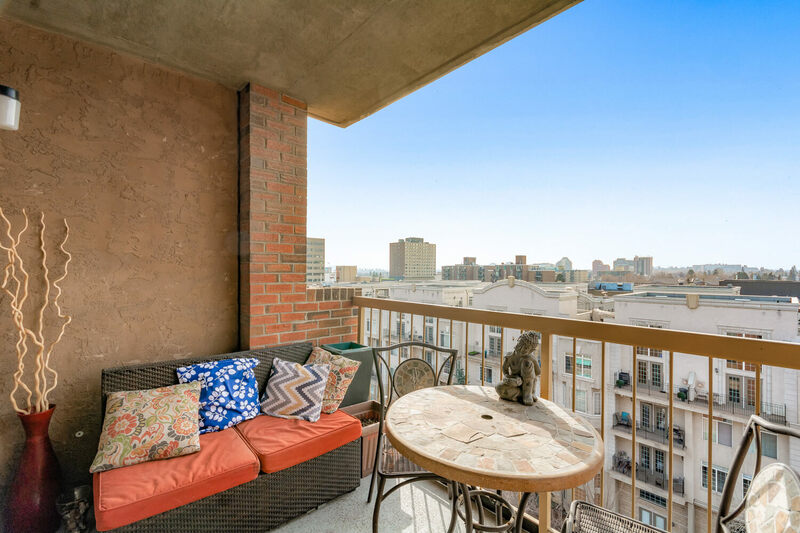 The large balcony will host many BBQs with friends and evening sunset gazing. 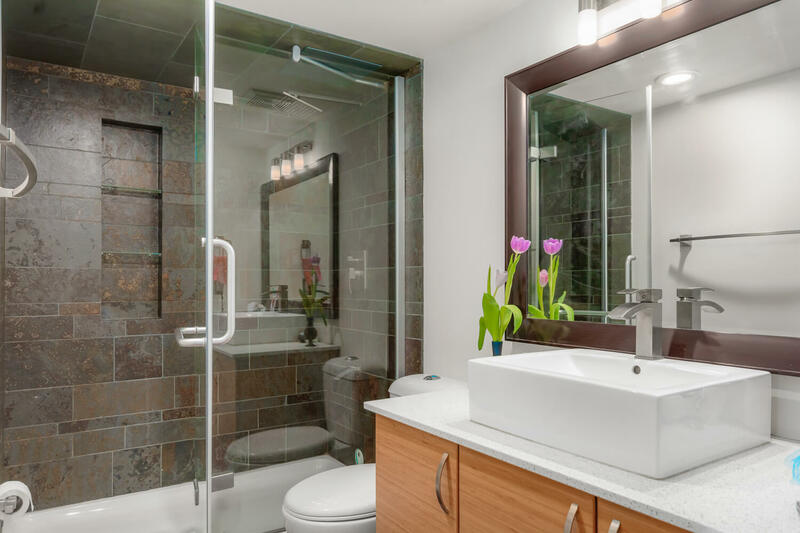 Feel spoiled in the spa-inspired bathroom featuring an oversized shower w/rain head, low-flush toilet & sleek raised sink basin. 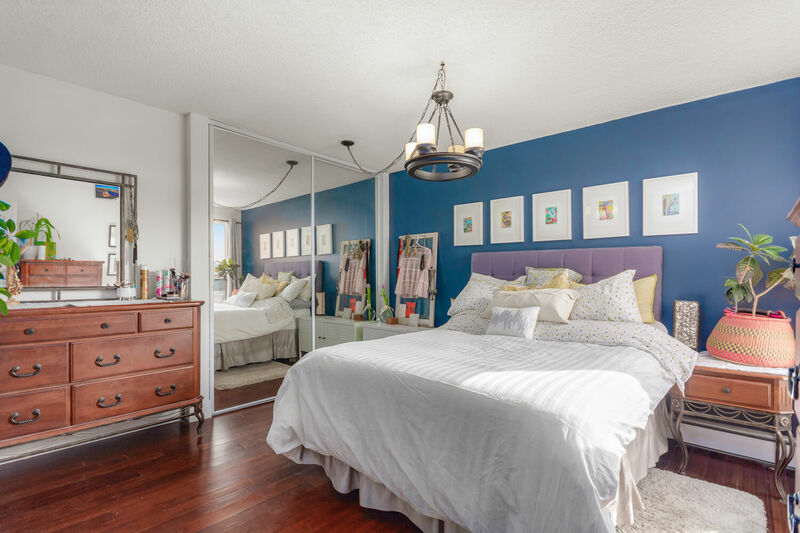 2 generous bedrooms provide plenty of space for guests or an office. 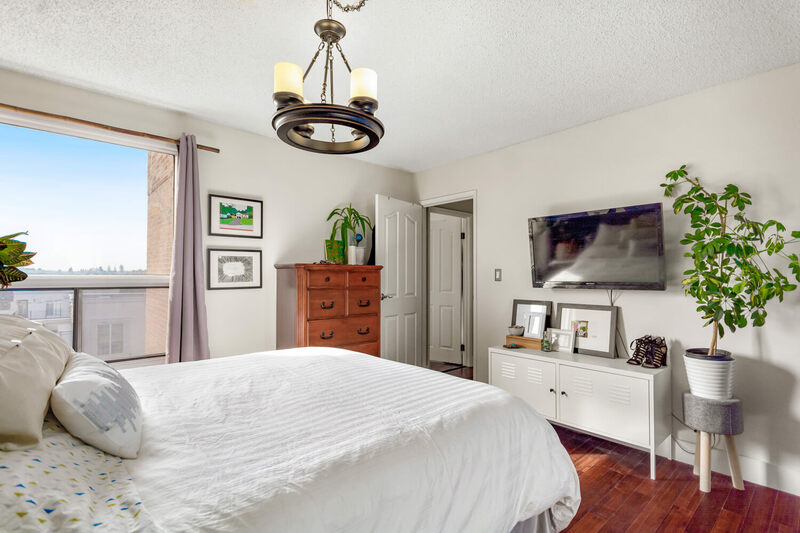 In-suite laundry & underground parking add to your comfort. 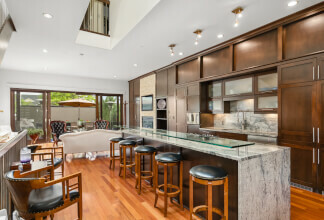 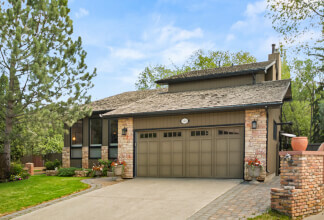 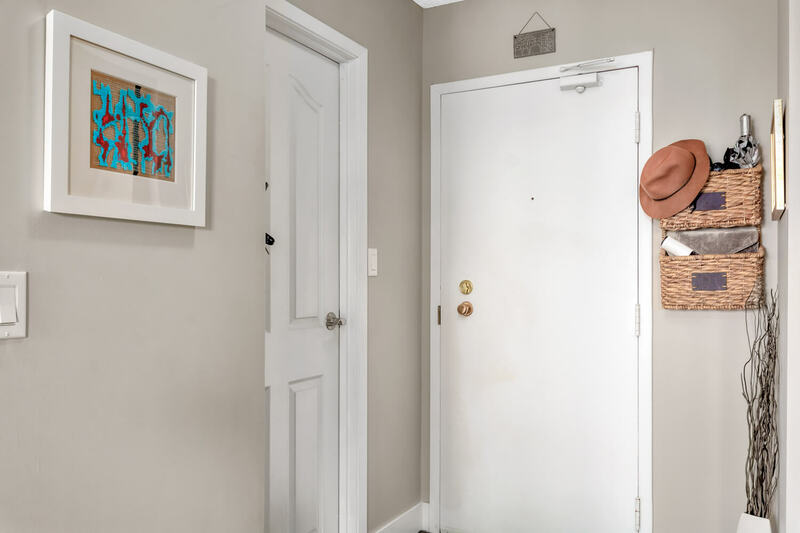 This superb location is quiet yet still close to transit, walking paths, unique shopping, award-winning restaurants & bars.